Since throwback everything is back in style, throwing a 90’s themed event can be a great idea. There are so many memorable moments during this era, from clothing to music that still have a huge impact on the trends occurring today. If you really want to do this the right way, you’ll need to bring Brooklyn to wherever your event will be held. First, you need a venue. Since this was an era where there was a lot of dancing, you want someplace that has enough room to make it happen. Think “street style” and you’ll get the idea. You should consider having a block-style party. This will allow the street to come alive with graffiti, fire hydrants, front porch steps and more. You also want to dress the buildings to reflect the era. Customization is key. You want to make sure you study the pictures and videos of that era so no detail will be overlooked. For something of this magnitude, authenticity is key. What other types of props will help this come alive? Think taxi cabs, hot dog carts, boom boxes, overalls, big earrings, and a lot of color. The permits for this type of event can’t be missed, and having additional lighting that can be turned on as night falls is important. Second, you’ll need an event company that can provide the props you need to make things come alive. Even though it’s a party, you want to make sure you have ample seating and a place where the food can be served. Having a huge tent, or a graffiti-sprayed building where there are different food selections can make this a lot of fun. Third, you’ll need to find the right DJ. For a New York setting, this is one of the most important elements of your event. Music, and played the right way, counts. Setting up a street rap battle would be an exciting element to throw in the mix, with opportunities for everyone to sign up. The object of this party should be having everyone dancing from the moment they arrive, to the minute they say goodbye. You want to have artists performing those songs that never go out of style. Music from these artists still have an impact, and their presence will take things over the top. Think about the popular TV music shows of this era. You have MTV, BET and their video shows. Bringing back those hosts and other celebrities who were on the shows would be a major power play, paying homage to those shows that set the standard for how music content is delivered today. Last, but not least, you have to consider marketing and parking. 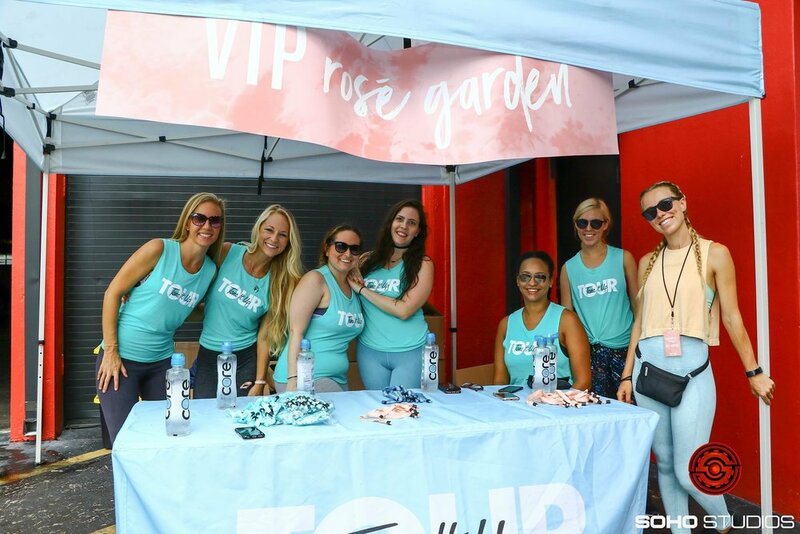 Making tickets accessible, and ensuring you have a venue or area large enough to fit a crowd of people, plus providing a way to get to the event, either through public transportation or parking areas is key. Everyone loves the 90’s. Do the event right, and it will be one of those memories that will be talked about for years to come. Eventbrite has been around for a while and is useful when planning something. This app takes the location of the user, providing a list of things happening in the area. They can find the event, purchase tickets, and it’s added to their calendar so they won’t forget. It’s available on Android or Apple. With Ticketfly, users can find events going on in the area, or in other areas by entering an artist, event, venue or city. Tickets are stored in the app for use once purchased, and is simple to use. The only caveat of this app – it’s only available for Apple. Splashthat takes things to another level. This app allows the vendor to customize their event experience from start to finish. With this app, the vendor can create and manage a mobile-optimized event page, send out email invitations to guests and sell tickets for the event. If planning an event, this would be a one-stop solution for management and tracking. You can also share the information via social media platforms. Guests can also check-in via the app. Available on Android and Apple. StubHub allows users to buy or sell tickets to events. Through searches, they can browse specific interests, or just type in the event they need tickets for. Users can also indicate the types of events they are interested in, and receive notifications when something is coming up. One of the best features of this app – the ability to pick your seats. There are processing fees associated with using this app. Available on Android or Apple. AroundMe is fairly new, but is useful for finding a number of events in the area. It also helps guide you to banks and other venues. With this app, users are sent to links where they can purchase tickets, so this could work in conjunction with any special sites where you want to direct the audience to purchase tickets.You can look at reviews and photos on this app, providing a birds-eye view of helpful information. Available on Android or Apple. Making sure eventgoers are able to secure tickets for last-minute functions or pre-planned events conveniently and efficiently makes the difference. With mobile app usage on the rise, it is a good idea to select apps that will help your events run seamlessly from beginning to end. Personalization and customization should also be factors when deciding where you want to direct your audiences. When convenience is at the top of the priority list, everything else falls right into place. As most Millennials know, mobile app dating is tough. “Catfishing,” or pretending to be someone you’re not, is a pretty big occurrence across Tinder and Bumble alike. Bumble is a dating app which requires women to message matched men first. Bumble, itself, recently released an anti-catfish mobile app feature. To promote itself, the Austin-based tech company created a New York airstream food truck. It served fish tacos, promoting its new photo verification feature capable of weeding out phony Bumble accounts. The “catfish” slang term was created and popularized back in 2010 during a documentary. Now, it’s been implemented into the mobile app’s photo verification feature to screen out the prevalent fake accounts. The feature makes users snap a selfie in highly specific poses, so as to make sure the user isn’t using another’s pre-existing photos from Facebook, Instagram or another visual-based website. Soon, Bumble will extend into the friend networking world—becoming much more than a dating app. Photo verification might not be the most alluring feature, but Bumble’s idea creators have sustained a positive marketing campaign pinned to the app’s classier approach to mobile dating. As for the food truck, it existed to celebrate the app’s newest feature. After all, the photo verification feature was created in a playful way—giving users control of their identity verification without necessarily breaking down the app’s intrigue. Called “The Great Catch” promotion, Bumble’s food truck promotion handed out free catfish-centric dishes. Aside from the catfish tacos, the truck had catfish sliders, roasted squash salad and honey-sweetened Arnold Palmer which was popularized through “Top Chef’s” Sam Talbot—a Brooklyn contestant. Marketing for a mobile app is tough, but Bumble’s Director of Marketing, Chelsea Maclin, reportedly created the campaign to invite newcomers with open arms while celebrating its current users. The app’s huge user base, stationed in New York, let various Bumble brand ambassadors verify their mobile devices while waiting for grub. These ambassadors could then explain how Bumble—and the offshoot, Bumble BFF—worked. They walked attendees through the app’s download, setup and use. Meanwhile, the app’s preexisting users were invited to learn more about the app’s features. The photo verification feature, of course, was at the centerfold. Bumble users were given branded giveaways, including pins, hats and t-shirts. Then, they were allowed to participate in the brand’s many on-site photo booth experiences. No experiential event is complete without a conference. Thus, Bumble invited its key influencers and press people to take part in The Great Catch. They were given yellow tackle boxes—branded, of course—each packed with anti-catfishing messages and swag. Bumble is an engaging experience, and it was deserving of a campaign capable of touching the catfish topic lightly while also recognizing the app feature’s important use. Because Bumble’s goal is to help users create meaningful relationships, much of the experiential event was created to connect with the app’s users on a personal level. Online safety, accountability and freedom can be a touchy subject—but Bumble covered it with grace. Ever wondered what it'd be like to be a model for New York Fashion Week? This past September, during New York Fashion Week, luxury car maker Lexus hosted a first-of-its-kind event that allowed show attendees to enjoy a sneak peek for themselves. Their unique "Set in Motion" photo shoot invited members of the public to experience first-hand what it's like to be photographed as a model during what is typically an exclusive event. Specifically, the "Set in Motion" photo shoot began with guests entering the installation (the set of which was actually inspired and designed around the new Lexus LC 500) and having a quick Polaroid photo snapped, just as New York Fashion Week models do as part of their open casting calls. That Polaroid then served as a guest's "ticket" to get into the Green Room Lounge, a luxurious space where hair and makeup professionals then treated each participant to beauty treatments, light refreshments, and a small take-home gift. 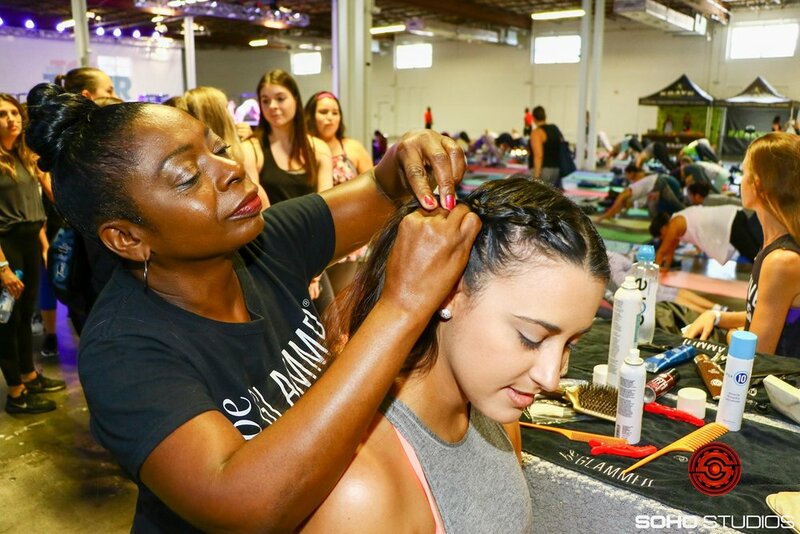 Once participants were looking their runway best, they were ushered onto the stunning set and walked through a photo shoot experience with a professional photographer. And of course, alongside participants during their shoot was a stunning, $92,000 Lexus LC 500. At the end of the mini-shoot, each participant was able to look through their photos in the comfort of the Green Room Lounge and select their favorite. They were then provided with their own printed copy of their favorite photo, along with the option to share it on social media. The entire experience, for most guests, took about an hour and was a wonderful and unique way to experience an insider's look at New York Fashion Week. And for many participants, this was a great way to step outside of one's typical "comfort zone" and try something completely new. Even those who have trouble taking a flattering selfie were impressed with how their photos turned out! The Set in Motion photo shoot proved to be a huge hit at New York Fashion Week and was heavily attended throughout the entire weekend, and not surprisingly. This was the first exhibit of its kind and served the excellent purpose of not only spreading awareness of the new Lexus LC 500, but gave attendees an exclusive, behind-the-scenes look while empowering each participant to look and feel confident. Overall, Lexus was pleased with the way the exhibit turned out, explaining that they wanted to take an event that is typically seen as exclusive to industry players and open it up to make it inclusive enough for the general public. Lexus also provided their usual fleet of almost 100 courtesy vehicles to be on display for the show itself. Given the success of the Set in Motion photo shoot, it will be interesting to see if other companies will follow suit with similar inclusive events in the future. Either way, we're loving the way this was pulled off and give Lexus kudos for this innovative approach! Looking for an incredible venue in which to host your next event in the Miami area? Soho Studios has you covered! With both indoor and outdoor event spaces and countless configurations, we'd love to help make your next event a success. Cheetos recently took both New York City and social media by storm with its pop-up Cheetos restaurant, the Spotted Cheetah. This installation featured recipes that included the brand's signature product that were devised and cooked by chef Anne Burrell. Seats sold out almost instantly, and over 1,000 people had tried to get tickets. It's rare that a pop-up restaurant will gain such a huge response, but this one went viral almost immediately. It gained a prime spot as a Twitter Moment and was all over other sites as well. Many pictures were shared in all possible ways, and it even gained some TV coverage. By all accounts, it was a huge success for the Cheetos brand and its parent company. For attendees, the experience started by walking up an orange carpet to get in through orange doors. Inside, they found a large HD screen with a smooth-talking Chester Cheetah, who greeted each guest by name. Once beyond him, they were treated not to a carnival-like outlet, but instead, an upscale dining experience that happened to include plenty of Cheetos and Chester Cheetah-themed accents. Orange cheetah-fur printed tablecloths, orange fabric hung from the ceiling, and even bright orange paw-printed toilet paper ensured that nobody forgot that this restaurant was, above all else, about Cheetos. Of course, it also served dishes that all included the product in some form. A bar was also present, and many went to it to start their meals off with orange slushies which were described by the bartender as being like margaritas. The drink, however, was "just sweet enough to remind imbibers that the restaurant was … a temple of junk food" according to Forbes. There were a few unique factors that made this event such a huge hit. One is that instead of trying to drive new interest, Cheetos waited until several brand-inspired recipes had already gone viral. This showed the brand that there was significant interest in the idea of using Cheetos as an ingredient, and therefore, that it would be easy to turn that interest into attention to recipes devised, made, and presented by a professional chef. Another unique factor is the already-massive footprint the Cheetos brand enjoys. Even those who hadn't thought of using Cheetos in recipes immediately became curious about the idea, simply because everyone who hasn't been living in a cave knows what a Cheeto is and can imagine its flavor. Finally, the idea of using Cheetos in the setting of recipes found in this sort of restaurant is inherently worth talking about. This made it very easy for the experience to go viral, complete with pictures taken on the spot by attendees. 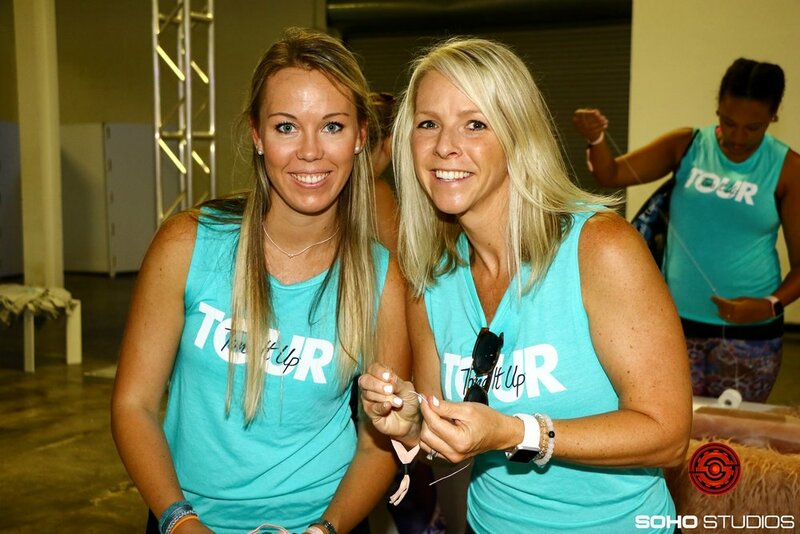 Of course, the brand distributed many professionally-taken photographs as well so that media outlets could show the event at its best. While most brands don't enjoy a multi-billion dollar marketing budget, they can use at least some of the lessons offered by the Spotted Cheetah in their own efforts. One is that it's a great idea to piggyback on an existing related trend in order to draw more interest to your marketing idea. Another is to present your brand in a related, but unexpected, way. Also, make sure your presentation is unique enough to get people to share it without begging for likes or retweets. If what you do is cool enough, everyone will be talking about it. Finally, be sure to choose a great city and venue for your experiential marketing effort. For an event in Miami, consider Soho Studios. We have plenty of both indoor and outdoor space that can be configured to meet your exact needs.